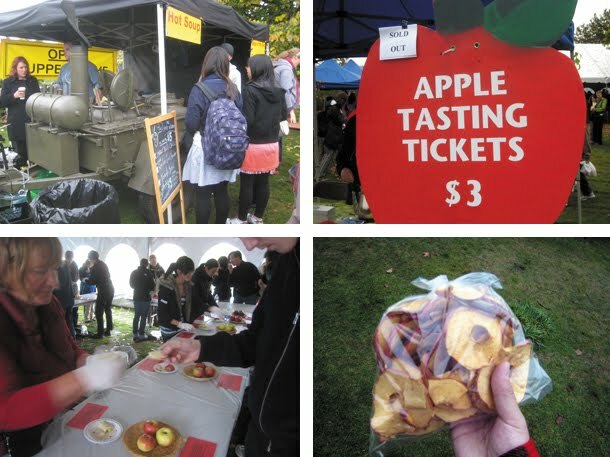 totally ignored the directions posted online and went to ubc figuring i could smell the cider. no signs anywhere for the event. got lost more. finally made it to the parking lot where they told me not to bother. ignored them, paid $5. hoped on shuttle. paid $4 in entry. ran to the cider table. GASP sold out. was a crotchity mess but bought a bag of 5 apples for $7 in attempt to not totally fail. why on earth were they so expensive? and who drank all the cider? next year will arrive on day one at 11am. Your post was better than mine. Nice read.